Elsa Disney Frozen Enchanting Dress (4-6x) Only $9.09! You are here: Home / Great Deals / Amazon Deals / Elsa Disney Frozen Enchanting Dress (4-6x) Only $9.09! Let your kids create their own worlds with dress up fun! 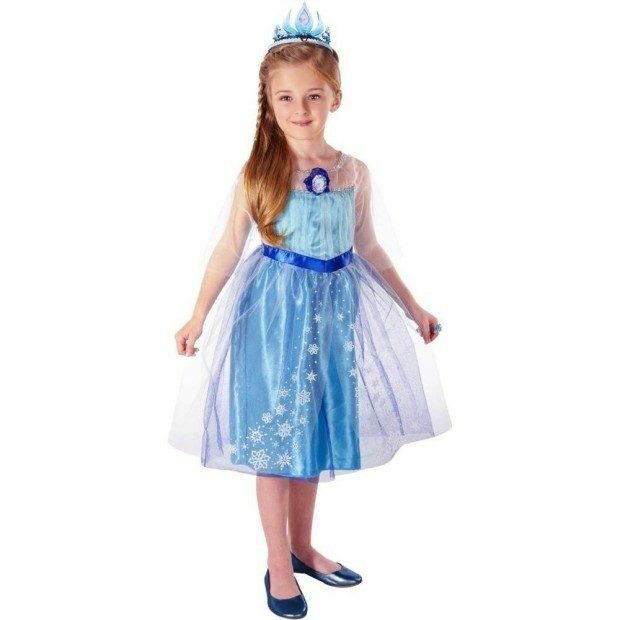 The Elsa Disney Frozen Enchanting Dress (4-6x) is Only $9.09! The Elsa costume has a multi layer skirt with glittery snowflakes and the dress’s bodice is decorated with a glitter design!